‘Burning mouth syndrome’ is the medical term used to indicate the recurrent burning sensation in the mouth. This condition affects the cheeks, lips, roof of the mouth and the widespread areas of the mouth. The cause for this condition is not known yet. It affects the mouth all of a sudden and become very severe. 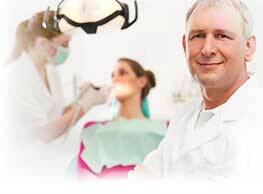 Experts believe that poor oral hygiene, various other dental problems etc. can be the reason for getting ‘burning mouth syndrome’. This condition is also known in different names such as burning tongue syndrome, stomatodynia, glossodynia, scalded mouth syndrome, etc. Signs and symptoms of burning mouth syndrome include severe burning sensation, pain, etc. There is no time specification for when it will occur and how long it will take to heal. It may vary according to each individual. Signs, symptoms and cause will vary accordingly. Change in taste, sometimes no taste. Treatments to improve thyroid, diabetes etc. Medications to deal with anxiety and depression etc. Avoid using mouthwashes that contain high acidity level etc.